There are so many Jewish jokes and tales out there, with hardly anything to do with real events or people. Take for example the case of the wise men of Chelm: though Chelm is an actual city, it had a perfectly normal population of both wise and stupid. No one really knows why Chelm entered folklore as a fool’s town. And on the contrary, the figure of Juha – the protagonist of jokes and tales in Muslim countries, was not an actual person as far as we know, yet was widely used as a literal joker by both Jews and none-Jews, just like the German Till Eulenspiegel. 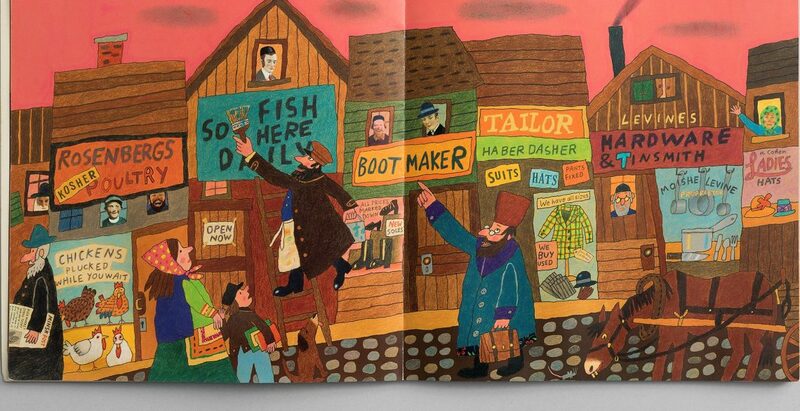 However one Jewish eastern European protagonist – Hershele Ostropoler – was in fact a real man, who told one Joke too many. Good old Hershele is famous for some of the most foolish conducts, but also for being, like many other literary jokers, a critical factor who ridiculed rabbis, rich men, gentiles, and all strong figures that normal people will not dare to mess with. Hershele’s weapons were extraordinary wit, harsh criticism, but hardly any malice. It feels like Hershele jokes have been around for many generations, but in fact they were first recorded 97 years ago, by Chajim Bloch. The actual Hershele apparently lived in the 18th century. So who was the man of Ostropol, and why did he become so famous? Researcher Prof. David Asaf revealed that Hershele served as the joker in the court of the famous Admor, rabbi Baruch of Medzhybizh. The Admor was quite a character himself, widely known for his awful temper. The grandson of the Baal Shem Tov, he felt superior to all, and would not cooperate with other Admorim. He added kings’ like manners to the Admor’s title and function, passed from father to heir. Rabbi Baruch was not the kind of man you want to upset. Evidential to the relations between Hershele and the Admor of Medzhybizh are the works by Avrom Ber Gotlober, an anti Hasidism enlightened author who published satirical writings pointed against the rabbinical authorities, and against Hasidism in particular, which he hated and despised. The rabbi of Medzhybizh’s personality interested Gotlober, and that’s how he found out about the real Hershele. According to Gotlober, since the rabbi was known for his anger and bad moods, he employed a full time joker. Possibly it was a common practice among Admorim, much like the King’s jester, whose job was to amuse the king and, to some extent, express a bit of criticism, which was forbidden for all the others. 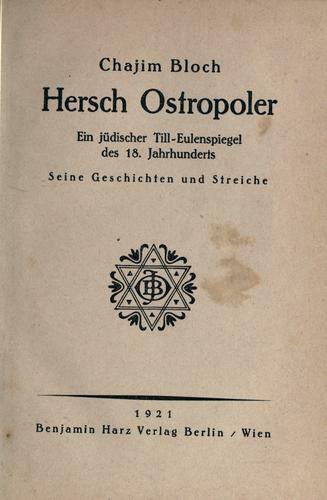 Gotlober claims that the joker’s name was Zvi, aka Hirshil Ostroplir. Hirsh means Zvi (deer) in Hebrew, then the name rendered as Hershele Ostropoler. He was cunning, foolish, an expert in plots planning and in diverting the Zadik from sorrow to happiness and from anger to laughter. It seems he was the only one who knew how to lift up the sullen rabbi’s spirit. One time, however, Hershele went too far. According to Gotlober he made a joke about his Admor, that was too much. Well aware of his rabbi’s faults, he pointed them out in a story which though did not mention the rabbi specifically, has managed to upset the Admor. Furious than ever before, he ordered his followers to take the impertinent joker and throw him from the roof to teach him a lesson – which they did. Hershele did not survive the fall and died. He was murdered because reality, unlike the world of jokes and tales – is tough. People use jokes to make fun on those who can not be made fun otherwise, but for Zvi Hershil the joke resulted in a death penalty. Throughout the years the popular character of Hershel was formed as a cunning, somewhat foolish man. He was the protagonist of endless jokes and tales. 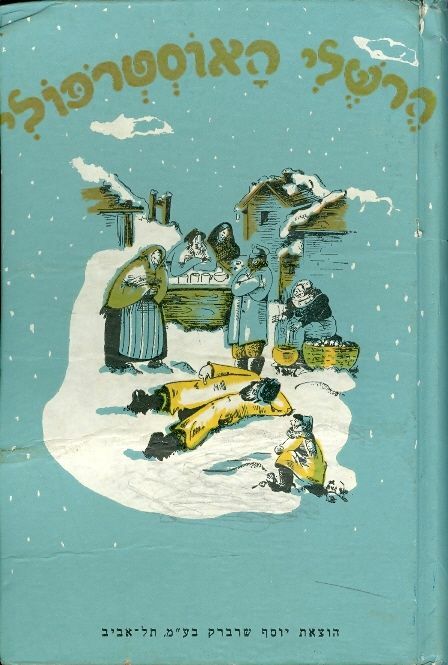 His popularity thrived in 1921 when Chajim Bloch published a book with jokes in German, where he was referred to as “The Jewish Till Eulenspiegel”, and a year later, when Alter Drujanow published the great jokes anthology (ספר הבדיחה והחידוד) which included lots of Hershele jokes, reflecting the lifestyle of the Jews in Easter Europe. Examining Hershele’s biography we must be careful and remember this: most of what we know about him was written by a man who detested and loathed the rabbi of Medzhybizh and wished to focus on his vicious temper. However we can assume that Gotlober did not and could not make it all up. Current researchers agree that Zvi Hershele did live and die, and became a literary figure who simply laughed at everyone and everything – just like the real man did. 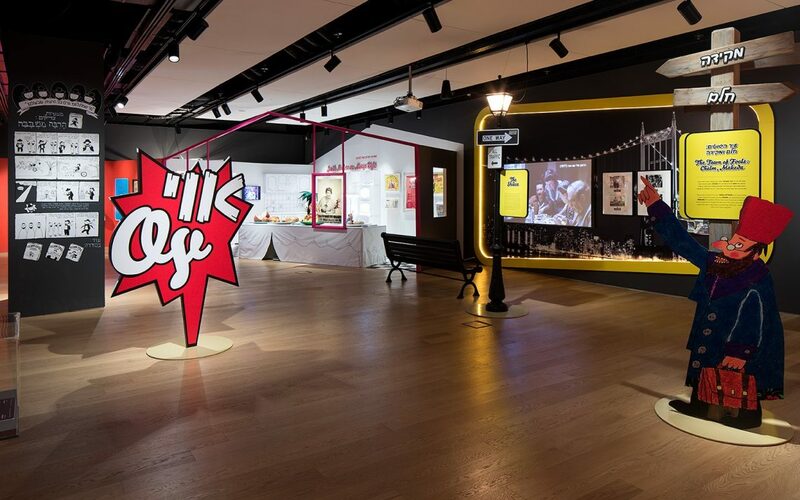 The exhibition “Let There Be Laughter – Jewish Humor Around the World” is displayed in The Museum of the Jewish People at Beit Hatfutsot”. Hershele Ostropoler is there too.